Philomena "Phil" Byrnes and her husband Peter ran the Byrnes Private Investigation company in Seattle, Washington; until Peter was murdered at his desk late one night. While keeping the company alive Phil has been slowly gathering information to try and figure out who killed Peter. One night she, her business associate Buzzy and their close friend Seattle Police Detective Coleman, go up to Phil's cabin in the San Juan Islands to comb through the information and finally bring the killer to justice. 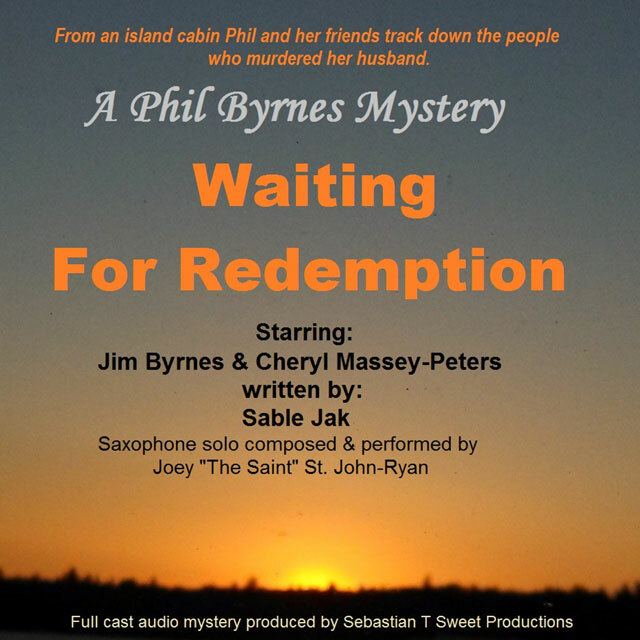 Julie E. Huey of Samuel Goldwyn Films Development: "Samuel Goldwyn Jr. [regarding] the Phil Byrnes mystery series: We both enjoyed the listen and definitely feel there's a potential star character in ‘Phil’. She's a confident, cerebral and enticing character that likens to Angela Lansbury's character "Jessica" on Murder She Wrote, but with a younger audience. We feel the show would translate to a fun, intelligent network series particularly popular with women ages 20-40 who we found have responded to strong female roles in prime time series…"